Cole Mallory is on the brink of losing everything. For the past seven years, Cole has dedicated himself to managing Mallory Vineyard, the winery his family owns. It’s not that he hasn’t had time for a relationship so much as he’s never found anyone he wanted to devote time to beyond the initial getting to know you stage. 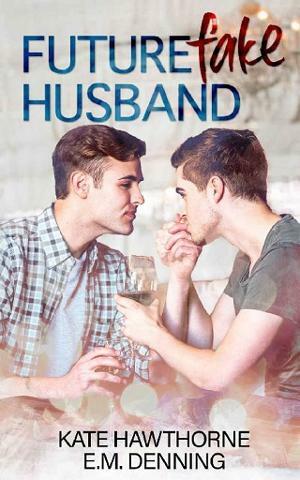 But that all needs to change—and fast—because if Cole wants to inherit the vineyard, he needs to be married.Rhett Kingston is about to have a new life dropped into his lap. What started out as a night of lonely drinking in a local bar ends with Rhett agreeing to “fake marry” his twin brother’s best friend. Rhett will act as the perfect future fake husband for Cole and, in turn, Cole will help Rhett launch the event planning business he’s always dreamed of owning. Before they know it, their totally fake relationship is tangled up with completely mutual desire. After a destination wedding forces Cole and Rhett into the same bed, sparks fly and fictional feelings escalate and threaten to turn into something very, very real and more than either of them bargained for.